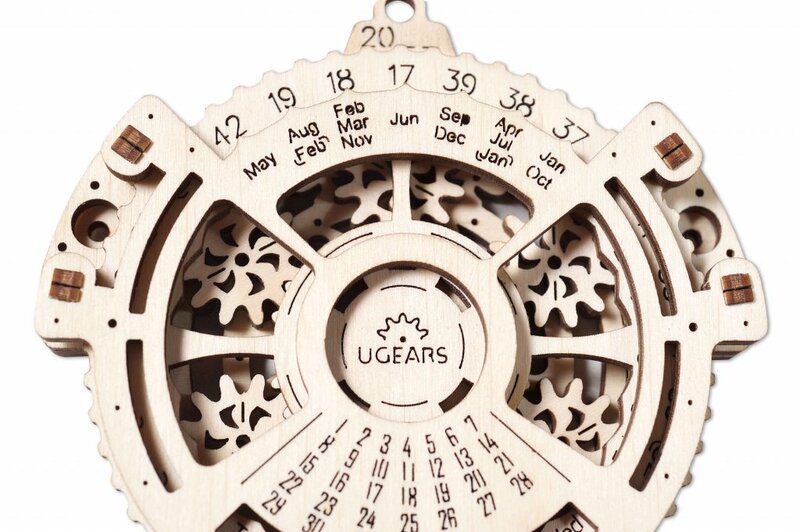 UGears introduces the Date Navigator, a unique 3-d puzzle and a mechanical model. The Date Navigator will help you not only to keep up with current and future events but also to stay organized and plan ahead! 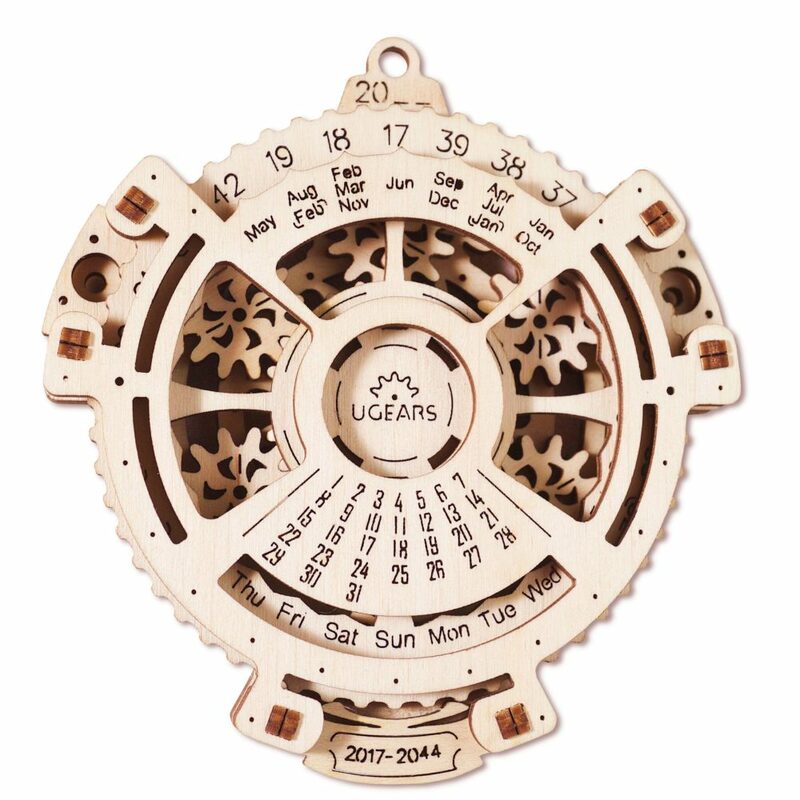 Despite its compact size, this model is capable to display the dates for the calendar years of 2017 to 20144! The Navigator will help you plan events that will take place in the distant future without the need to use endless pages of paper calendars or any digital devices. How is this possible, you may ask? The Date Navigator’s details and specifications. At first, the Date Navigator may appear to be one of the simpler models. Containing only 24 pieces, it requires no more than 20 minutes to be fully assembled and can be built in one setting. However, when put to work, the Date Navigator reveals the complex, well thought-through operating mechanism. – The Date Navigator’s body is a static element with the list of days printed in the lower part and the list of months – up on top. – Inside the Navigator is a disc with the days of the week printed on the lower parts and the; sat two digits of the year (17 to 44) – right on top. – The top of the back cover has two digits, 20-, indicating the first two of the year; the small loop at the top of the model’s body for easy handling the Navigator on the wall. How does the Date Navigator work? The Date Navigator can display any date between the years of 2017 and 2044. In the order to get the date you need, simply rotate the movable disk so the two last digits of the year are aligned with the month. For example, align the digits19 on the disk with the month of June. Right below you will see the monthly calendar for July 2019. Being able to know what day of the week the certain day will fall on helps you figure out whether your next year’s birthday is going to fall on a weekend or how many vacation days you need to visit a family on Christmas. 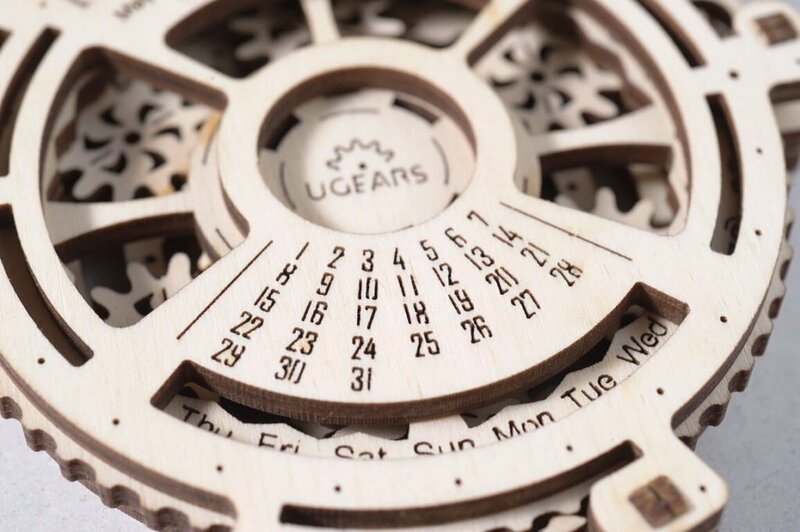 With the Date Navigator, you won’t need to buy a calendar for each new year. It will help you to plan and stay organized for years to come. Order your own Date Navigator from our online catalog now. 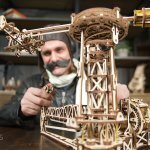 Why should you choose UGears 3-d sets?